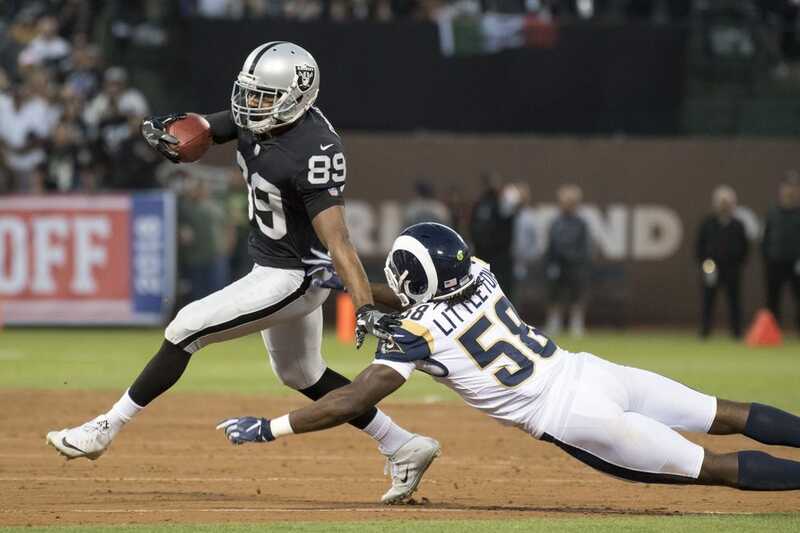 The Dallas Cowboys have done extensive work on Oakland Raiders wideout Amari Cooper as they consider trading for him before the Oct. 30 deadline, according to an ESPN report on Sunday. Per the report, the Raiders have been adamant that they want a first-round pick in return for Cooper, and they've heard from other teams -- including the Washington Redskins and Indianapolis Colts -- about the wideout as well. A separate ESPN report on Sunday said the Cowboys also are keeping tabs on Buffalo Bills wideout Kelvin Benjamin and Miami Dolphins wideout DeVante Parker as possible trade options, though the team is not certain it will trade for a wide receiver. Dallas' receiving corps has been among the least productive in the NFL, and Terrance Williams went on injured reserve earlier this month. The Cowboys have traded for a Pro Bowl wide receiver before the trade deadline on one previous occasion: They sent first-, third-, sixth- and seventh-round picks to the Detroit Lions in 2008 for Roy Williams, who never topped 600 yards receiving in three full years with Dallas. Raiders head coach Jon Gruden has told reporters the team is not shopping Cooper, a 24-year-old who reached the Pro Bowl in 2015 and 2016 before having a disappointing 2017 campaign. However, multiple reports have said the team would take a first-round pick for the wideout. Cooper suffered a concussion last week during the Raiders' game against the Seahawks in London. Oakland is on a bye this week.